can be an expensive business. There’s always new trends that come out every season and the way that fashion marketers would have you believe is that the last seasons or last years clothes are out of date and unwearable. Now that’s something that I absolutely don’t believe in and I don’t really buy something that I could only see myself wearing for one season. Style is eternal and if you like something, wear it. It does not matter what is on the catwalks or deemed trendy. That being said, I do sometimes like to try out a trend led style. 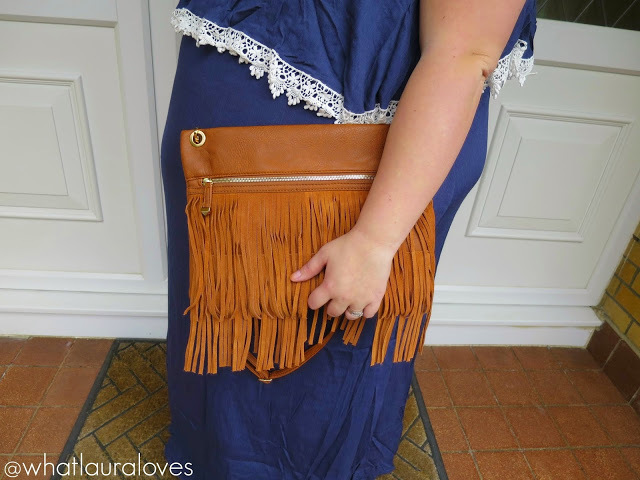 For example, this summer, I have really enjoyed the fringe trend but fringing isn’t a look that I have enjoyed until now so I didn’t want to spend a load of money on expensive pieces that I didn’t know I’d still love in a couple of years time. I headed to Primark for a coral crochet top and white waistcoat that both had fringing at the bottom, you can see them in my plus size fashion haul here. I also bought a really affordable tan fringe clutch from New Look. Usually I like to splash out on designer bags but as I didn’t know if this was something I’d love forever, I didn’t want to part with my hard earned cash. I also find that blogging makes me want to buy more and more clothes, accessories and beauty products that I really don’t need but really, REALLY want. It can get so expensive but I’m always so inspired and tempted by so much of what I see online. So whether you’re a fashion addict, a shopaholic who can’t stop buying clothes or simply someone who likes to own pretty things then you’re not alone, I know exactly where you’re coming from. My advice would be to invest in pieces that you’re almost certain you’re still going to love in years to come and make wise choices when you’re shopping. You don’t need to be a slave to the latest trends if you don’t want to be; it isn’t a prerequisite to fully stock your wardrobe with whatever is on the catwalks right now. I often think that buying fewer quantity of items in favour of investing in higher quality items can help your wardrobe to last for years and years. Being a savvy shopper is important too. I’m always looking for items that I’ve been lusting after online for a while in the sales and I like to use voucher codes and discounts wherever possible. Buying second hand clothes has many advantages compared to being a slave to brand new on-trend outfits, particularly if you love designer pieces. So many girls scour charity shops now that its considered cool and second hand clothes are often considered to be vintage pieces. again! Using reputable websites to source pre loved designer pieces is key because then you know you’re getting an authentic, real item as they check the items for authenticity and quality. if you’d bought it all new. garment suddenly shrinking during its first wash! occasion. Second hand clothing guarantees you’ll be dressed uniquely! buy your clothing from a charity shop. finds its way into the shops as one bulk donation without being sorted for value. fraction of its real value. A great tip here is to visit charity shops in wealthier areas as they tend to have some of the best stuff. I’ve heard about people buying D&G, Calvin Klein and even Mulberry at ridiculously low prices in charity shops! pressure from salespeople who are only interested in earning their commission. I have watched so many youtube videos where people go shopping and try to find an outfit for $50 (they’re usually American youtubers). I think it would be great to try this but in charity shops. I might just give it a go when I’ve next got some spare cash! If you shop in charity shops or buy second hand clothes, I’d love to hear what your top tips for finding great buys are! Can we say hallauah to Poshmark!! I have so many good finds, I just had to pay it forward and open my own Poshmark store. To date i've sold over $1K of my clothes,shoes, purses and makeup. My link is on my Blog and this post reminds me to start adding more items. This post is AMAZING! So many great tips for sure. I have never really thought to check out second hand shops. Totally going to have to do that now. Thanks for sharing this!! Great tips! 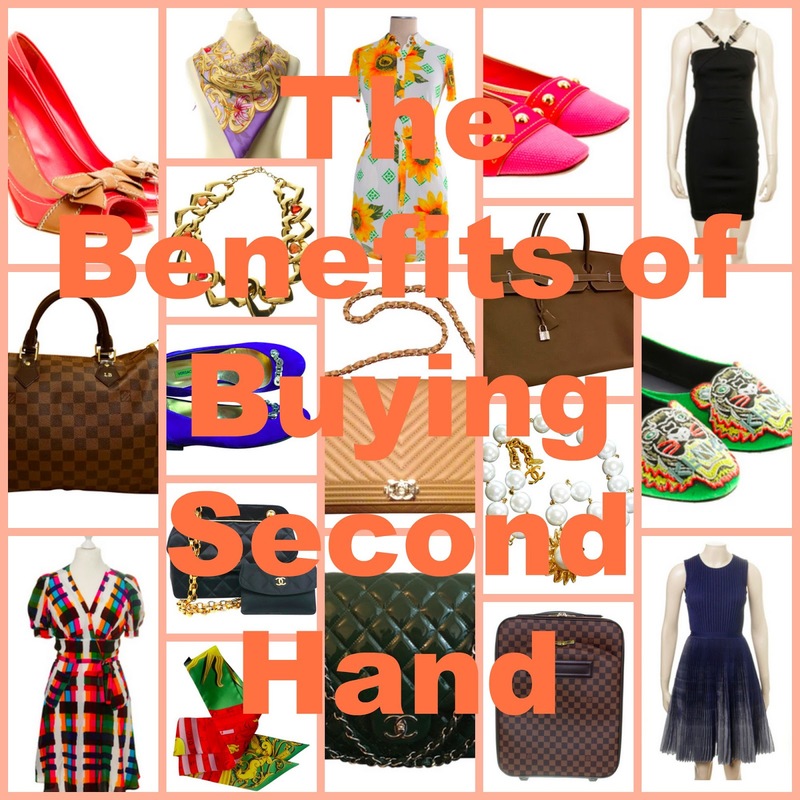 I've never looked into buying second hand, but it makes so much sense!